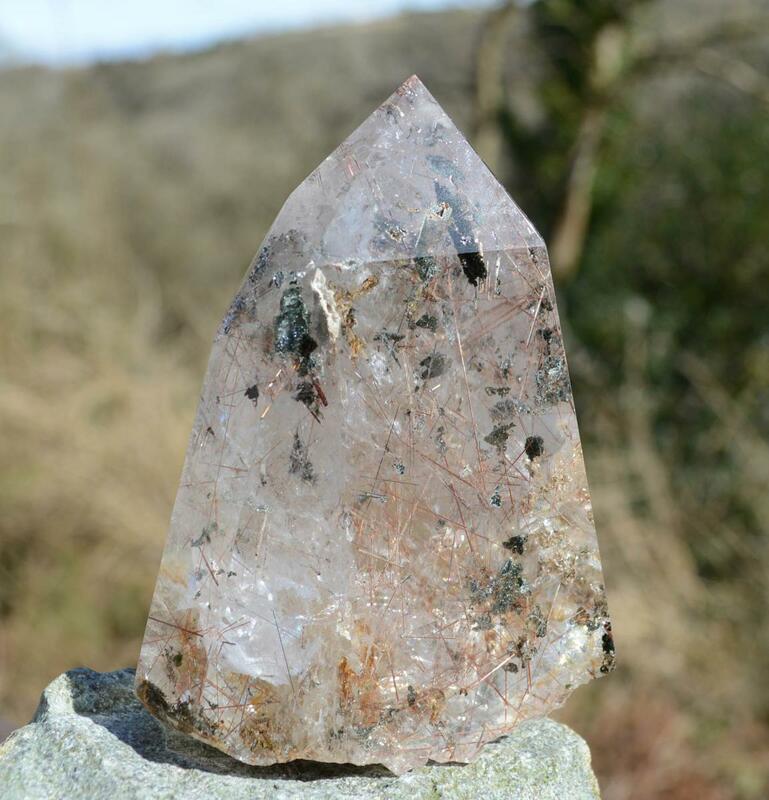 Slightly Smokey Quartz with coppery red Rutiles and green Chlorite. 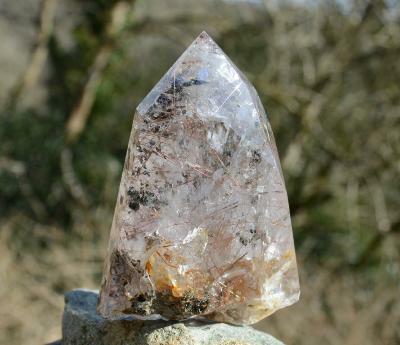 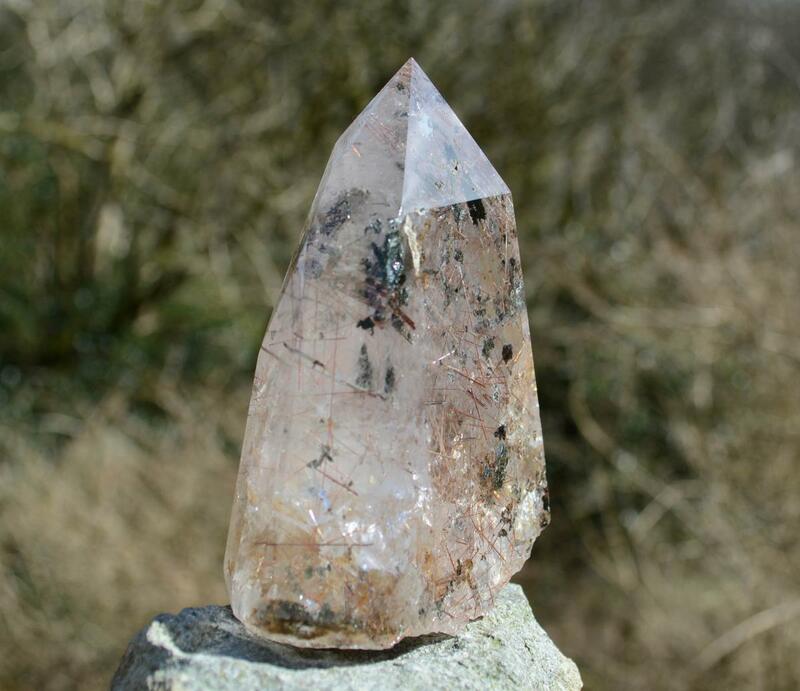 Beautifully polished to a healing Generator tip, where all face sides form a precise point. 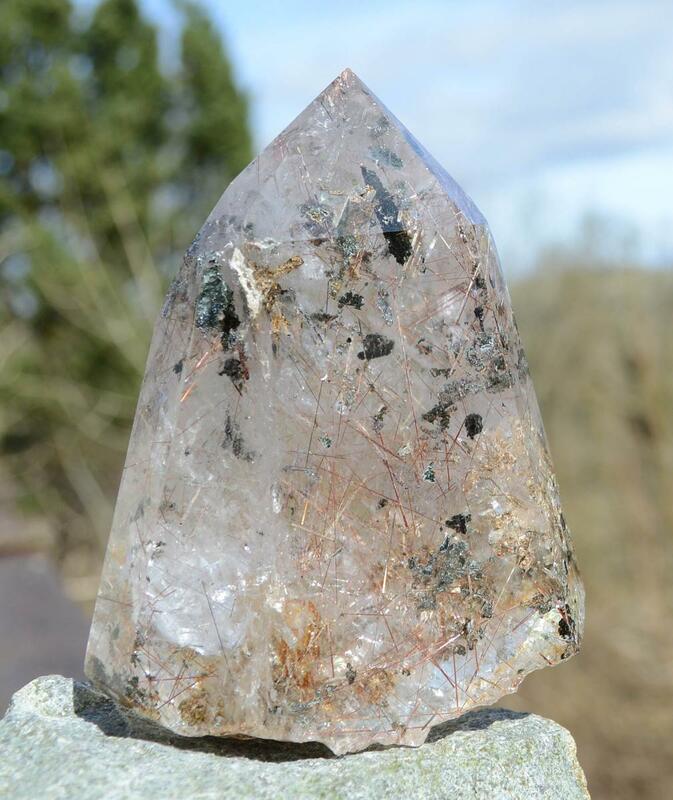 The combination of this quality quartz with Rutiles and Chlorite is rare.